The chapter starts with a memory… When a Rider village was attacked by a Nargacuga, a mysterious Rider went to see Hakum´s Chief, fearing the worst this rider left a parting gift to his Child who was just a recent born baby… That gift would be one that he will obtain when he has grown up, that and the desire for the Father to protect his son… Lute. In the present, Chief Omna sees the box where the gift is, and he says that it is time to give it to him. Later, Lute couldn´t sleep so he went to see Cheval´s Mom garden, there Navirou tries to cheer him up; but he is too sad and too hurt to the fact that what Cheval said was indeed the truth, that no matter how stronger he gets he in truth wouldn´have been able to save his Mom. The Chief appears and tells him that if he wants to solve the darkness on his heart he must go to the sacred place, the Tower of Illusions, Lute doesn´t hesitates and decides to go. Lute, Navirou and the Chief goes to the place and reaches it by the evening; but no tower was to be found, still the Chief tells him that they will camp there and wait. While waiting, Navirou is creeped out by the atmosphere and imagines that there might be a hideous and horrid monster nearby! Suddenly a growl is heard and Navirou jump scared! The 3 of them goes to where the beach is and nothing was to be seen until, the cloudly sky dissipates and the Moonlight is seen alongside the natural satellite. He is near Hakum village, or rather in the sea near the place. Lute falls in to the big sea and suddenly he wakes up in a familiar place and a familiar moment, the night when the tragedy comes and the Nargacuga attacked Hakum Village. Navirou´s Hunting horn is heard and the Nargacuga runs towards them until he falls for the trap! The first phase of the plan is a success! Lute still doesn´t know what is happening, everything is too confusing! Cheval, Mille and Hyoro runs towards the Nargacuga and starts burying it! After that they stomp on the ground in order to make sure that the Blighted Monster won´t escape! 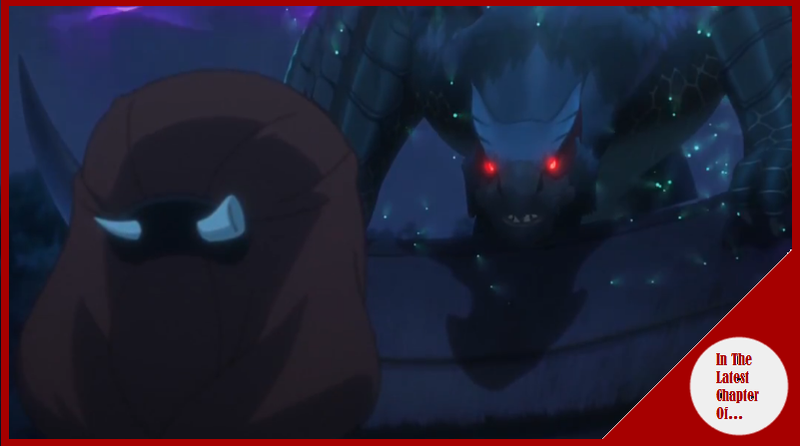 Still, the Monster uses his own strength and liberates himself damaging the young Riders! After that he starts running toward the village! Lute knows what to do. He calls for Laeus and he comes! Although it is not the same Rathalos he had that time, since this one is the one-eyed Rathalos, Lute says that their connection must be so strong that he must have come! Lute finds himself again submerged I the vast ocean, his time in there is short and he rewokes again in the moment where Navirou was calling for the Nargacuga. Without thinking it twice Lute calls for his Rathalos and flies to the village, leaving Navirou and his Rider buddies all flabbergasted. Lute reaches the refuge and tells Cheval´s Mom to not to move! He will go and grab the egg! Lute flies to Cheval´s house and grabs the egg, outside Cheval´s Mom was awaiting for him, she was worried sick about Lute´s well being so she came. Suddenly the Nargacuga has reached the place. Lute quickly gives the egg to Cheval´s Mom and tells her to hide herself, which she does! Lute goes and fights the Nargacuga trying to lure him far away Cheval´s house, it looked like at first that everything was going according to the plan until… He finds Cheval´s Mom hideout and attacks it. Lute finds himself submerged on the vast sea. It is there, where he felt like drowning that a strong arm grabbed him. A manly voice is heard… It was his Dad, he tells his Son that he must believe in the power of Kinship and on his friends, that he is nit alone! He gave Lute the strength to keep going. Lute decides to hear his Father words and moves! Lute wakes up, he is badly injured thanks to the Nargacuga explosion! Still he tells to Cheval, Mille and Hyoro that he is sorry, that it was his fault and that Cheval (who didnpt know what is happening) was right, it was his own conceit and selfishness that everything went to crap that time; but now he wants their strength, he wants their help to try and defeat the Nargacuga here and now! Everyone listen to him and go! The Nargacuga free himself from the trap, Mille and Hyoro grab his attention and start persecuting them until he catches them and attacks them! Cheval, then grabs his attention and alongside his Velocidrome he starts running taking the Monster to the cliff! There Cheval Avoids the attack and with the combined efforts of Lute, Mille and Hyoro the push the Monster towards the cliff, making it fall to the forest bellow, effectively saving the village! Cheval says that he believes more than ever in the power of Kinship. Everyone in the village celebrates their victory and to their eyes they´re full fledged Riders now… On the distance Mrs. Vlau, all dirty, is looking with a smile. Lute runs towards her and she grabs his hand, suddenly both of them are on the ocean, not drowning; but floating above it. Cheval´s Mom gives her thanks and commends Cheval´s care to him… After that she disappears and Lute wakes up seeing a worried Navirou and Avinia, since for them Lute just fell asleep and couldn´t wake up. The 3 of them leaves the place, the morning was coming and the time when the Tower is visible is ending so they hurry up to the shore. In there the Chief and Dan wherw awaiting for them. The Chief asks Lute if he has found his answer yet? And Lute says that he is, he has come to the realization that no, he is not strong, he is weak so he can´t do much by himself; but… He has allies that can help him, and that no matter how weak one is, if one have trusted partners then… All the obstacles will be defeated, and that is the power of Kinship! After that The Chief reveals the last gift of Lute´s Dad… an armor (A Rathalos one) one that he wore when he had the same age as Lute, The Chief believes that now it is the time for Lute to wear it, since he is ready now. An Amazing chapter! The character development, story, action and emotional moments came in waves! It was very good to see more about Lute´s Dad story and the last gift to his son. At the same time, it was gruesome to see how Lute failed, and failed and failed every time he tried to defeat the Nargacuga or rescue Cheval´s Mom, of course until he gets to his revelation, that he recognized his own limits and therefore he can now truly start growing. While seeing Lute´s Dad ghost was cool, it was truly impactful seeing Cheval´s Mom one. The fact she asked to Lute to take care of Cheval gives more power to Lute in the sense that he will never give up on him, he won´t let him root more and more in sadness and hatred. Finally, Dat Rathalos armor looks sweet! Now at the very least he will have more defense and a cool looking gear!